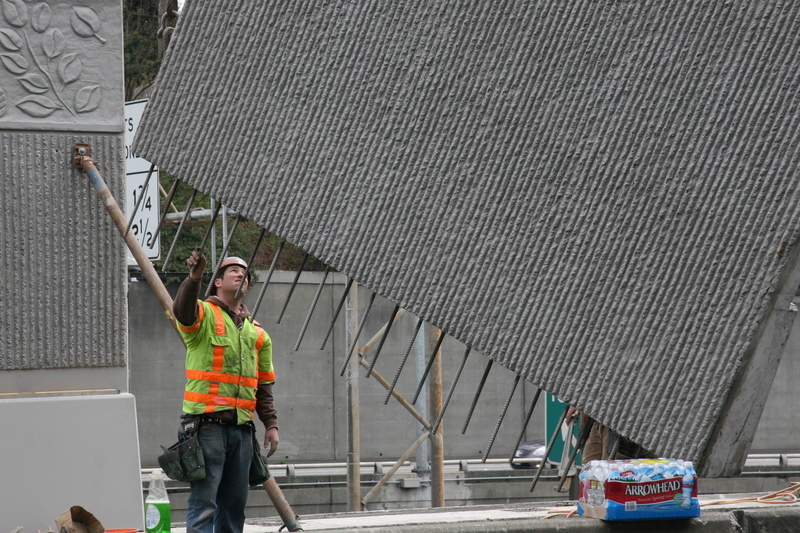 Positioning one of the noise wall panels. Construction crews are installing the final two sections of noise walls along Boylston Avenue E. this weekend. The street is closed between Lakeview Boulevard E. and E. Lynn Street and also between E. Roanoke and E. Hamlin until early Monday morning. The photos were taken just before noon on Saturday. 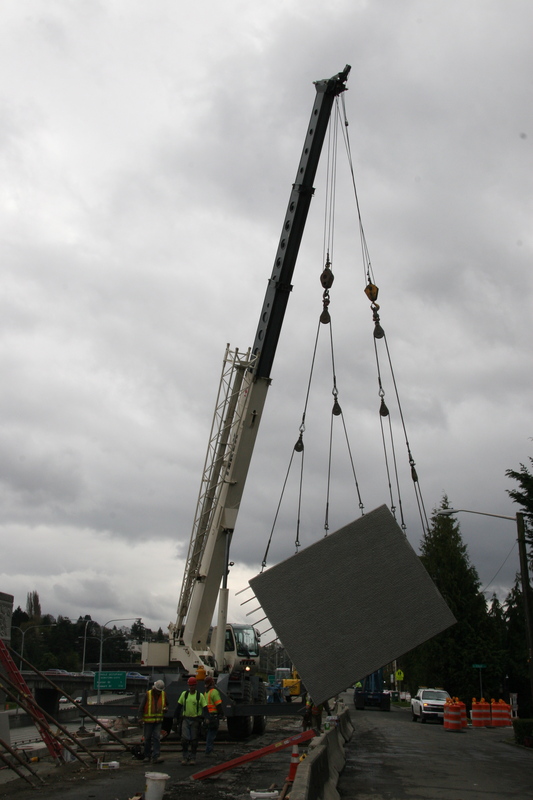 Each of the noise wall slabs weighs approximately 7,200 pounds. It’s a great show to watch. Just stay on the sidewalk and out of the way. This entry was posted in Uncategorized on April 11, 2009 by cdmilton.